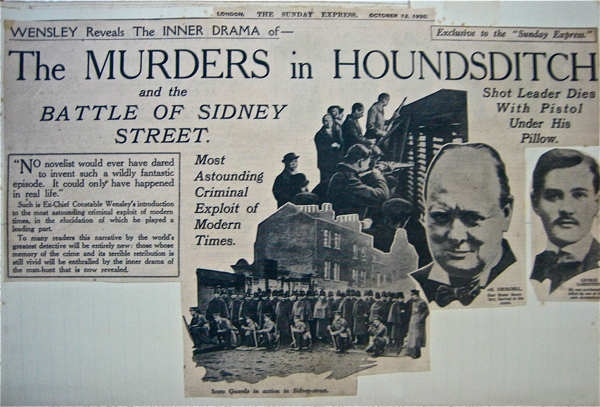 You recall Detective Inspector Frederick Porter Wensley who played such an important role in the detection of the Houndsditch Murders and the subsequent Siege of Sidney St. 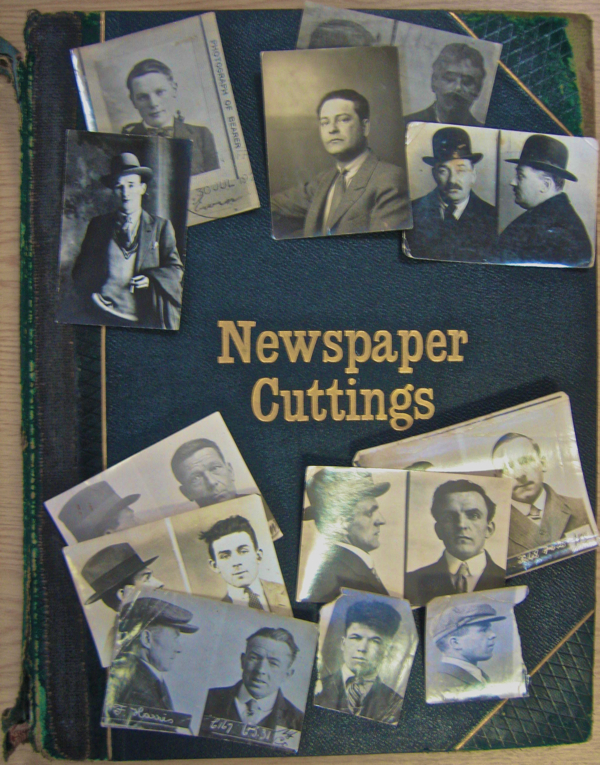 Throughout his long and spectacularly successful career, he kept an album now preserved in the archive at Bishopsgate Institute where he pasted all his press reports conscientiously and labelled them with beautiful hand drawn lettering. 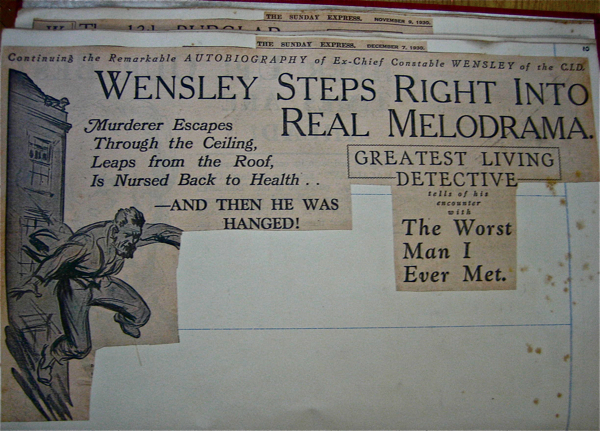 Upon retirement, Wensley wrote ‘Detective Days,’ his bestselling biography with accounts of crimes to outstrip any work of fiction. 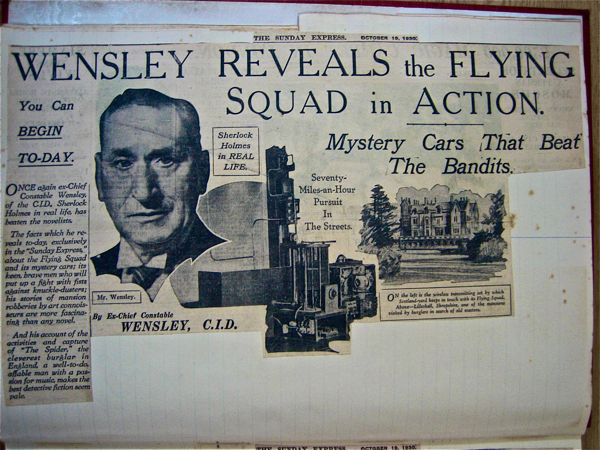 And when the newspapers no longer had new heroic exploits of Wensley to report, he wrote his own for the press, retelling the tales of crimes long ago for a whole new generation, and rounding out his life story nicely. 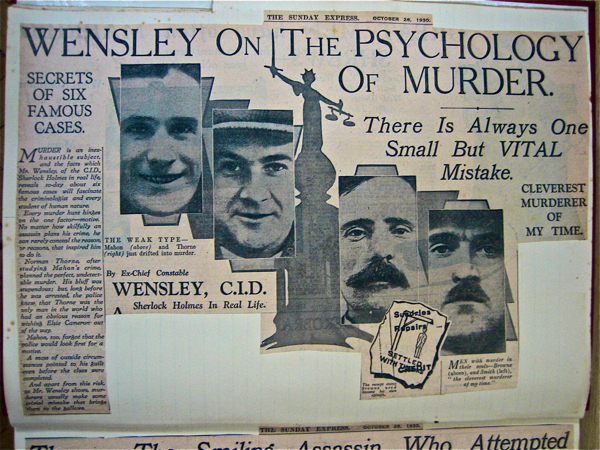 When I consider Wensley’s involvement in the investigation of the Houndsditch murders, although I grant that he went bravely under gunfire to rescue Sergeant Leeson who had been shot in Sidney St, there is another detail that sticks in my mind. Entering the house in Grove St after the tip-off that a body was there, he was concerned lest gunmen be lying in wait, as his colleagues had discovered to their cost in Houndsditch a few days earlier. Ever the pragmatist, Wensley boasts in his autobiography, how, to remedy this eventuality, he pushed the fat landlady upstairs ahead of him, thus creating a human shield. 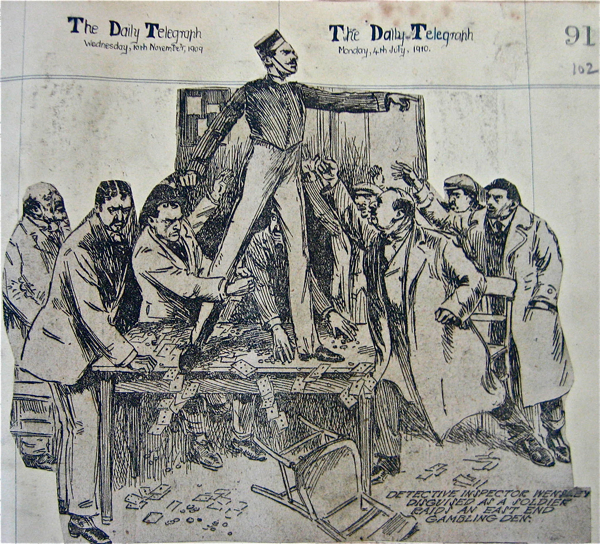 Detective Inspector Wensley disguised as a soldier raids an East End gambling den. 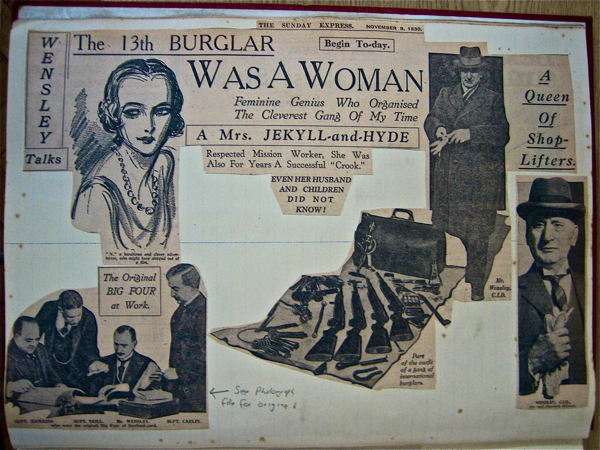 Wensley’s album with his personal collection of villains’ mugshots that he carried in his wallet. Thank you for posting such a fascinating read! I’ve always adored little historical tidbits. 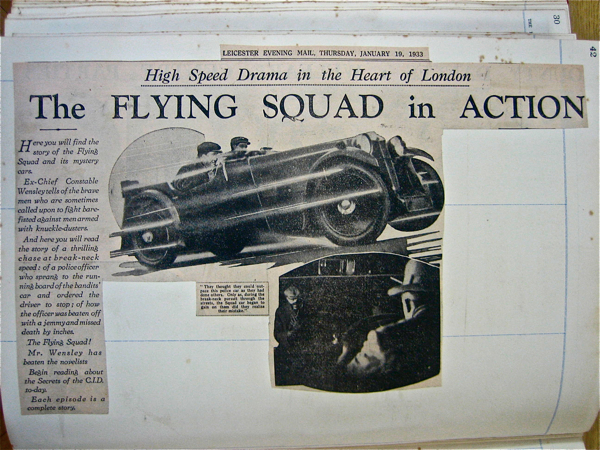 Looking for a copy of Detective Days now as it sounds like it would make a great read. Thanks!! 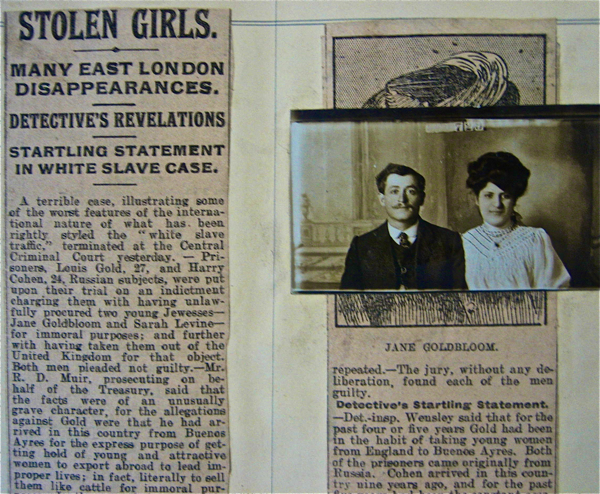 I am interested in the subject of Victorian London, so appriciate all your articles. 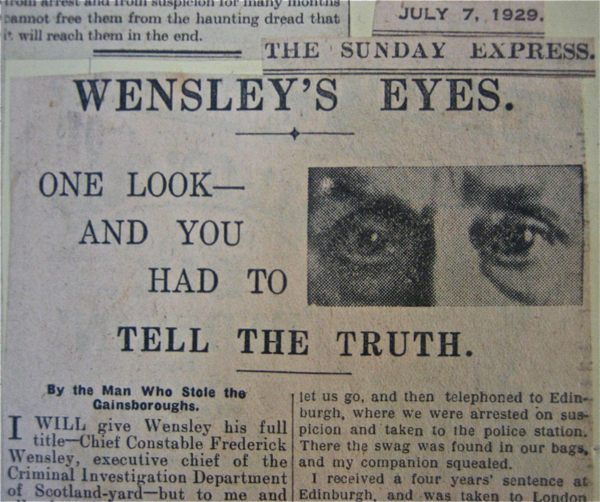 This was so interesting to read as I am related to Fredrick Wensley. My parents have a copy of his book but I haven’t had the opportunity to read it. Which is now something I now must do. I’m another relation, although more a more distant cousin. I also have a copy of the book, and really must get around to reading it, after enjoying browsing through the stories here. Interesting read. 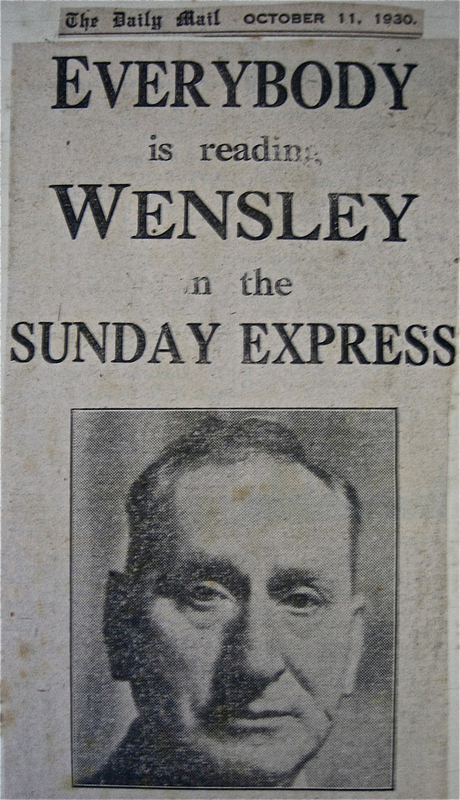 I am trying to locate the birth record of Fred’s father George Wensley. He lists as being born about 1839 in Monksilver Somerset in various census records but I can find no record of this birth. You have to join and it does cost some money, but if you find out anything I would really love to know for my grandmother back in Australia. Margaret and niece Tamara Poole have mentioned that my parents have the book, I started to read it years ago but never got to finish it. This has now given me the incentive to finish it. Always wanted to find out more of Fredericks life and this has helped do so. My Grandmother was Lillian Wensley. 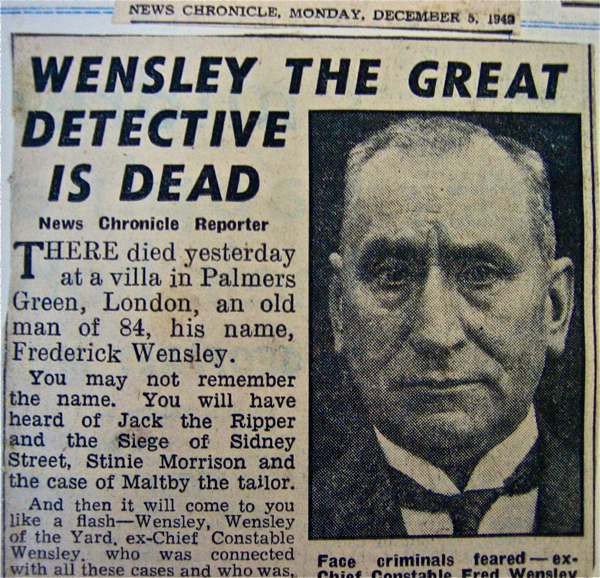 I am related to Fredrick Wensley as well. I love being able to learn more about him. I too would love to contact my distant relatives. 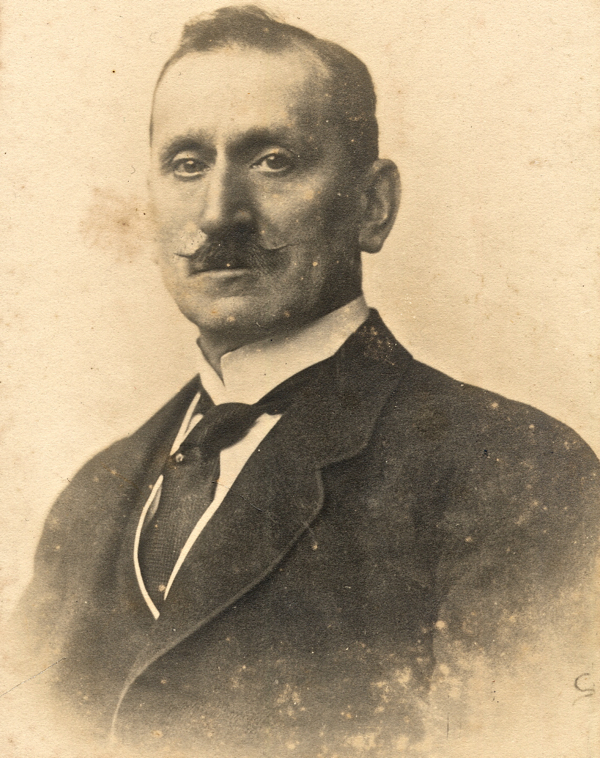 Fascinating stuff – Federick Wensley was my great great Uncle – would be very interested for any more information or from family! 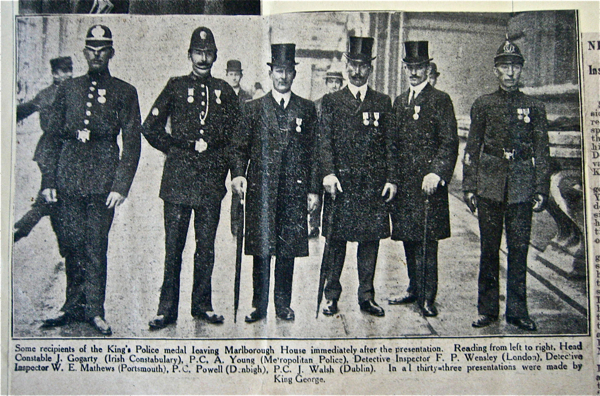 Frederick Wensley was my great great uncle. 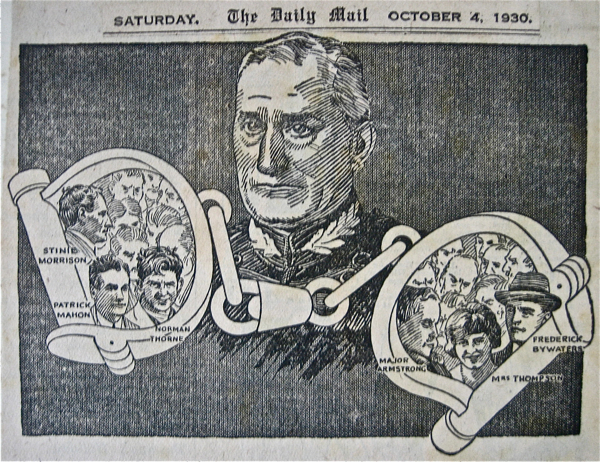 It is fascinating to read of our ancestors. Claire Aplin ( previous contributor) I have in my Wensley family tree although we have never communicated it is very interesting to know that we have a common thread through our ancestors. Hi Ron Wilkes, My great great grandfather was Albert George Wensley who I believe is the brother of Frederick Porter Wensley this my great great uncle. My great grandfather was Albert Wensley, his daughter Winifred Wingfield (nee Wensley) was my grandmother and my father is Michael Wingfield. Would love to know where your connection then descends further down? I. am intrigued about your family tree as Aplin is my married name and as I am only 42 it would have to be extremely current if that was me – very interesting. 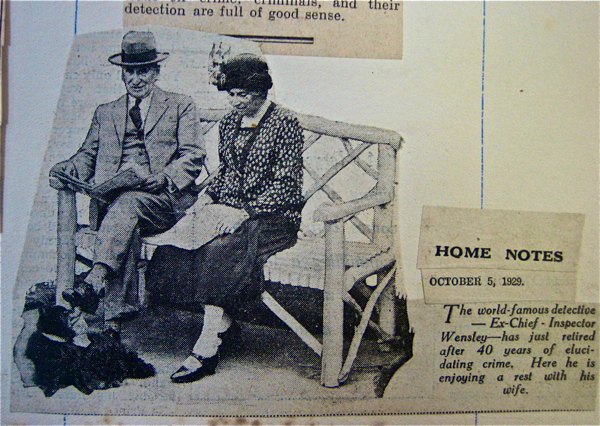 The Wensley family moved to 22 Powys Lane, N13 which is still in the Parish of Christ Church Southgate. Frederick (Jr) and Harold are listed on our War Memorial, which records the names of 144 other men of the parish who died during WW1. All are most welcome to visit our church to see the memorial. , is there a way of contacting you. I believe I have you in my tree, Kathleen o’Toole your mother? I think that makes you my 2nd cousin 1x removed.